This Safe manufactured with the art technology and craftsmanship to provide the best protection of valuable things against the threat & fire. 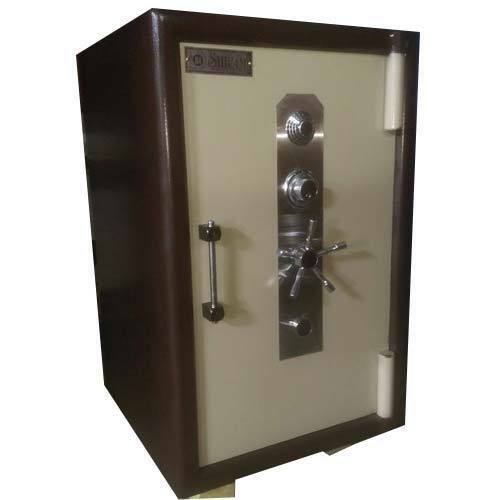 Established as a Sole Proprietorship firm in the year 1977 at Ahmedabad (Gujarat, India), we “Shivam Industries” an ISO 9001:2008 Certified Company are the reputed manufacturer of a huge assortment of Safety Locker, Security Safe and Strong Room Door. These products are widely applauded for features like superior strength, high durability and corrosion resistance. Under the strict guidance of “Mr. Manish B. Panchal” (Owner), we have reached at the pinnacle of success in this industry.We are offering our product under reputed brand name SHIVAM.